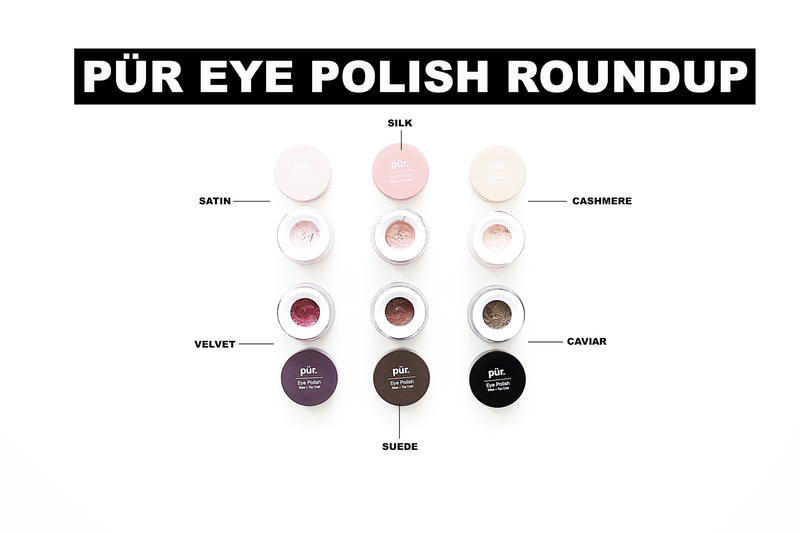 When the full set of the new Pür Eye Polish pots landed on my doorstep, I knew I'd instantly fall in love. They encompass everything I look for in an eyeshadow - great formula, long-lasting/crease proof, gorgeous colors, and beautiful shimmer. They six shades are well rounded - neutral but still interesting and easy to wear. The top three (Satin, Silk, and Cashmere) are all every day favorites. While the bottom three, (Caviar especially) are perfect for nighttime. They can be worn alone as an iridescent cream shadow, as a base for regular shadows to amplify color, or as a top coat to add a gorgeous metallic sheen to matte eye looks. They come out initially as a sheer wash, but can be built up to create a much more intense look.